For as many things change on this show, from relationship dynamics to power dynamics, to family dynamics just to name a few, there is one thing that always seems to remain consistent. These people all make terrible decisions on a daily basis. 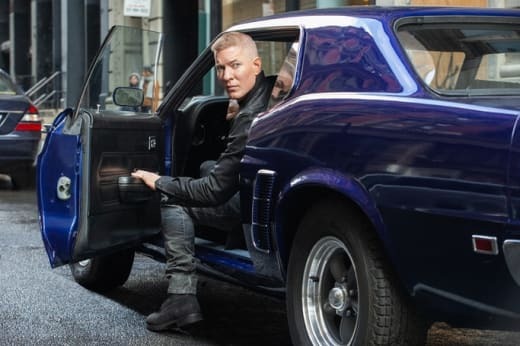 And Power Season 5 Episode 1 was filled with moment after moment that truly made you go, huh? It’s a wonder that any of these people are alive, as they continuously make impulsive decisions based off raw, in the moment emotions. And coming off the biggest tragedy they’ve ever had to face; any logic has been completely abandoned. When last we left, Raina was dead, Tariq was responsible for her killer's death, and Ghost and his family were reeling and also dead set on finding someone to blame. Instead of jumping ahead and letting us see where things stand a few weeks or months into the future, we pick things up exactly where we left them. 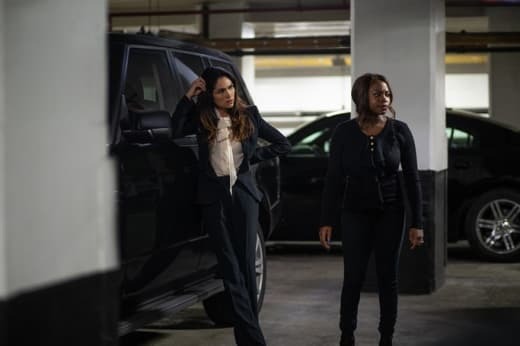 Angela is snooping around the crime scene, and Tasha is devising ways to keeps her family safe. Other than Tariq, who we will get to later, Angela is the queen bee of terrible decision making. By helping Tasha, Angela is now implicated in everything. And little does she know her peers are looking to ruin her career and her life. Angela has been extremely bad at her job since we met her and after numerous close calls, I think the other shoe may finally drop on her. This Internal Affairs lady isn’t going to go away quietly, and Saxe is making it his life’s mission to see her fired, disbarred and who knows what else. Angela- I'm going to have to turn you all in now, Tasha. And I'm going to have to testify against you and Jamie. Tasha- Tariq shot him. With my gun. There were obvious risks to helping Tasha in, but now these two are linked together for the time being whether they like it or not because this is their new reality. Angela will forever feel guilty about her relationship with Ghost and the impact it had on Tasha and her family. And it’s the exact reason why Tasha knew Angela would help her. The fact that this is a big secret will eventually come to a head, because Ghost will put two and two together and who knows what his reaction will be. But at this point, does either woman even care? With Raina’s death and exacting revenge at the forefront of his mind, I doubt Ghost is thinking much about love. But I have to imagine with all the pain and guilt he’s feeling, he’s eventually going to hit his breaking point. Will he start drinking again? Will he get back into the drug business as a means of distracting himself? And most importantly, will he allow himself to grieve and fully process his daughter's death? When that day comes that he finally does crack, he’s going to look to Angela for that support. Whether she will be there or not is another question entirely. Speaking of revenge, Tariq exacted his when he killed Raina but now he’s stuck in a precarious situation and to be honest, it’s hard to know exactly what he’s feeling. Tariq’s face doesn’t give away any of his emotions, very similar to his father. Kanan- Dre's the problem, right? Permalink: Kanan- Dre's the problem, right? Ghost- Right. It’s very apparent that both Ghost and Tasha are placing a decent amount of blame at Tariq’s feet. And while that’s not wholly fair, Tariq’s extremely problematic nature did play a major role in the sequences of events that lead to Raina’s murder. And while he may or may not understand his role in what happened, you would think he would understand that Kanan and Dre also share a significant part of the blame. But nope. Tariq is always going to Tariq. 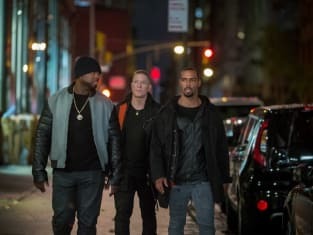 Clearly, Dre wasn’t going to die in the season premiere, but I would have rather he just got the jump on both Kanan’s guys and Tommy’s guys, instead of being tipped off by Tariq. Would good did that do? I’m at a true loss for words when it comes to Tariq. From where does this loyalty to Dre stem? 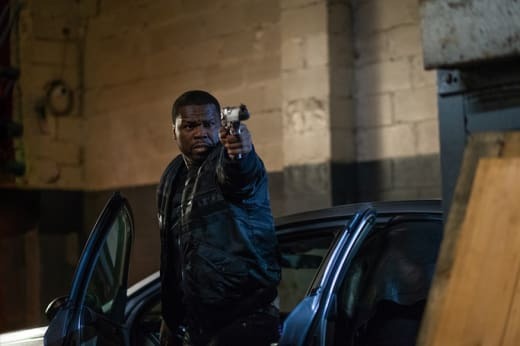 In his own twisted way, Dre cares for Tariq, but had Dre spoken up and defied Kanan, the sequence of events that transpired would have most certainly gone a different direction. But at the end of the day, the only thing Dre cares about is himself. When Dre showed up at Raina’s gravesite to confront Ghost, I nearly jumped off the couch. I mean the nerve of Dre. The audacity. All I know is that now that Dre is firmly exposed, I hope his downfall is slow and rewarding. There’s only so many times a rat can escape that trap. So, we all know that there’s no way Kanan is helping Ghost and Tommy out of the kindness of his heart, right? Sure, he has a million reasons to want Dre dead, but I’m not convinced that when that day finally comes, he isn’t going to go after Ghost and Tommy next. I'm glad this show hasn't forgotten that not too long ago GHOST SET KANAN ON FIRE. Tommy messed up big time going behind his new families back and hiring the two kids to go after Dre. Now one is dead and the other hurt and probably going to rat Tommy out. Yet another foolish decision in an episode full of them. So I guess Rashaud is sticking around and using Raina's death to help further his career. Stern was a hideous man, but he was spot on when he warned Ghost about him. I still want things to work out for Tasha and Terry. Forgive me, I'm a romantic at heart, and that man really does care for her. Proctor is still relevant to this show apparently, and I'm thinking that whole keeping the laptop of that dead Homeland Security agent is going to come back to bite him. Alright, guys, it looks like we're in for another wild ride this season. What did you guys think of "Everyone is Implicated"? What storylines are you most interested in this season? 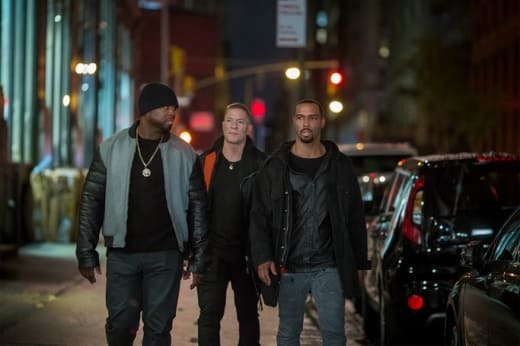 Don't forget to watch Power online right now, so you don't miss a minute of the action. And drop me a line in the comment section so we can discuss everything!